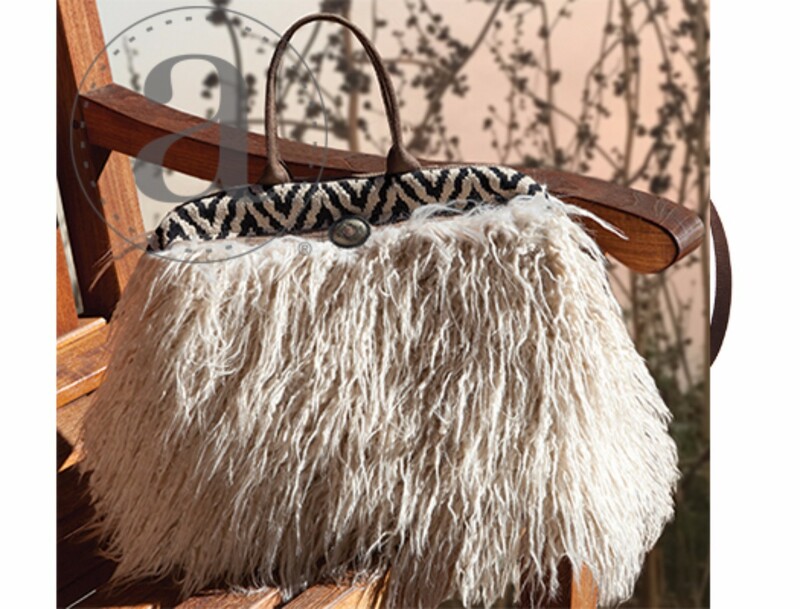 The Atenti Llama Maude - An off-white to tan shaggy faux fur embellished with a slotted concho. Opening with a 12"" rectangular snap frame, the Atenti Maude bag shows off a fully lined water resistant taffeta interior. Inside are a zippered pocket and an open divided pocket with a cell phone slot. Double 12” looped straps."